The Lagos State Government Saturday disclosed that its economy recorded an unprecedented boost in the entertainment, hospitality and creative sectors in four weeks of the yuletide season. The state government added that trends and reports it monitored within the period showed an estimated spending well above N50 billion in cash transactions, a record slightly higher than what it recorded in December 2017. 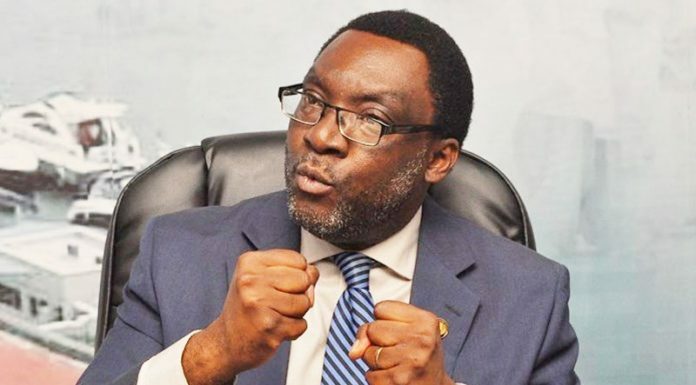 The Commissioner for Tourism, Arts and Culture, Mr. Steve Ayorinde made the disclosure in a statement he issued yesterday, revealing that cash transaction of N50 billion was recorded in travel, entertainment and leisure-related spendings during the yuletide alone. Ayorinde said various reports, statistics and analyses monitored across immigration office, banks, aviation, hospitality and leisure parks; food, beverage and distribution businesses and event venues, shopping malls and cinema box office earnings captured over N50 billion within the stateâ€™s entertainment and tourism sector. He said reports monitoring the prevailing December trends showed an unprecedented footfall influx of more than three million people entering Lagos in December alone with a multi-billion naira spendings in tow in hotel lodgings, local in-bound flights and taxi/chartered transportation, alcohol and beverage consumption; culinary business; visits to resorts, parks, clubs and lounges, live theatre and cinemas; concerts and clubs as well as ancillary businesses like fashion and clothing, kiddiesâ€™ games and toys and private security guards. Like in 2017, according to him, last December was hugely creative economy- friendly, which again affirms the Stateâ€™s preeminence not just as West Africaâ€™s commercial hub but also its entertainment nerve-centre. The beauty of this assertion is that the surge in the creative enterprise over the yuletide period was felt by all and sundry; was statistically measurable and is now a subject of discussion among analysis. He said there was a slight correlation between the horrific gridlock in some parts of Lagos during the yuletide season and the huge trading by residents and visitors leading to seasonal job provision and economic gains. Ayorinde said the high volume of economic activity that were directly related â€œto tourism-related visits, entertainment and leisure accounted for a significant chunk of the total value of transactions in the State of 21million residents whose estimated GDP of $136 billion in 2018 is regarded as the fifth largest in Africa, after Nigeria, South Africa, Egypt and Algeria. he attributed the stateâ€™s continued high performance in the creative economy to Governor Akinwunmi Ambodeâ€™s deliberate interest in and commitment to the development of infrastructure, security and ideas that impact positively on tourism, entertainment and shopping. Ayorinde said December â€œhas always recorded the busiest footfall in Lagos from figure obtained from immigration and aviation authorities. Aside the One Lagos Fiesta which drew over two million visitors cumulatively across its five venues over eight days from December 24 to 3, other big concerts like those by Davido, Whiz Kid, Burma Boy, Adekunle Gold, Rhythm Unplugged and Sound City Awards also attracted large crowd into Lagos and of course huge spending. He added that the December 2018 high creative economy spending in the state corroborates the two key important global tourism industry indicators that were favourable to Lagos in 2018.